Choose this stylish hotel in Concord, New Hampshire offering free breakfast and Internet access. 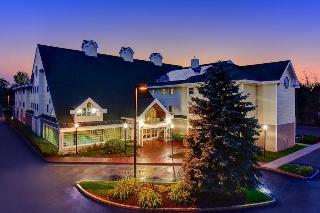 The Best Western Concord Inn & Suites is located in the capitol of New Hampshire! This hotel is a 2018 Director's Award winning property, proudly offering the best in customer service and amenities at an affordable rate. Hotel guests will be a short distance from NASCARÂ® at the New Hampshire Motor SpeedwayÂ®, the McAuliffe-Shepard Discovery Center and Planetarium and the Capital Center for the Arts. Other nearby outdoor activities includes world-class skiing at Pat's Peak and Mount Sunapee in the breathtaking White Mountains. Water sports at nearby Lake Winnipesaukee and touring the beautiful fall foliage are also popular activities for travelers. Stylish and spaciously designed guest rooms feature cable satellite television, free high-speed internet, microwave and refrigerator. Additional hotel amenities include an indoor heated swimming pool, exercise facilities and complimentary full hot breakfast along with a daily newspaper. The hotel also features state-of-the-art meeting facilities with enhanced business amenities. 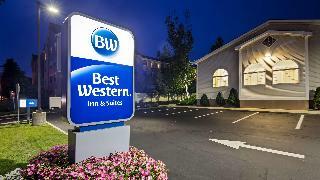 For superior customer service and a great location, make a reservation today at the Best Western Concord Inn & Suites!